The transporter has been built to the highest standard and for all weathers. Our transporter is air conditioned and equipped with night lights and cameras. First class care will be given to all Dogs while in transit to their destination. 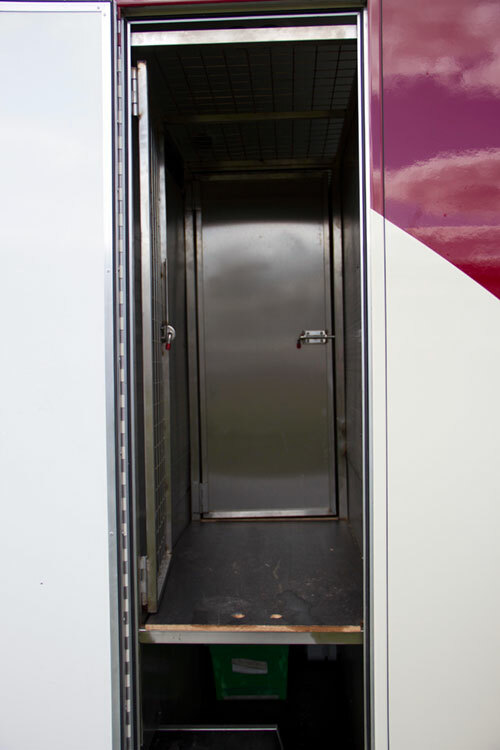 Our transporter was built by Alexanders, for us to our specification. 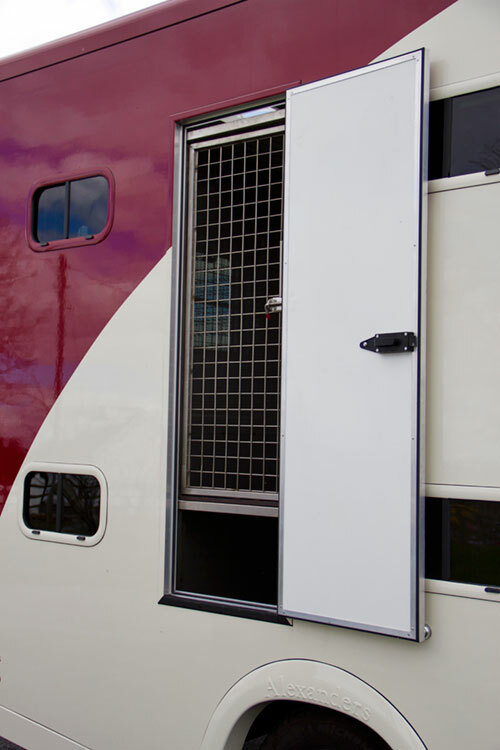 All considerations were thought of when the transporter was built, to ensure the safety and comfort of your dogs. Weekly service from Southern Ireland to Wales, South Of England, Midlands and the North West of England. We usually travel to Continental Europe once a month, but can be more often, depending on demand. We make regular trips to Italy, via France, Holland and Germany. Our transportation was custom built by Alexanders. 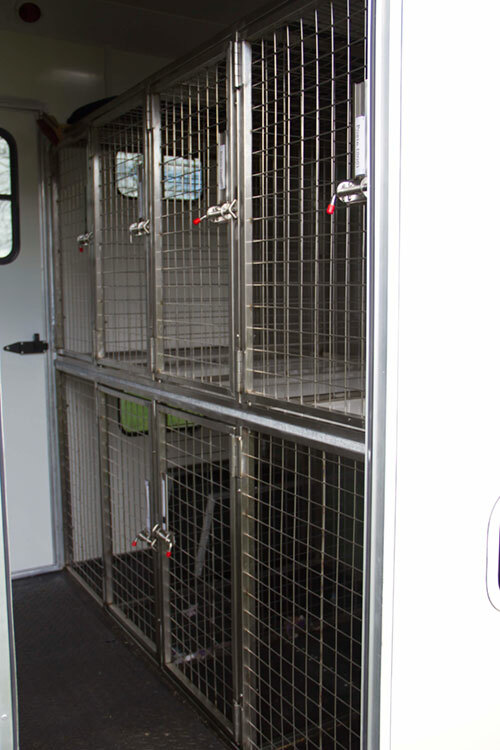 All considerations for the Dogs comfort and safety were thought of when the transport was built. Equipped with everything the animal needs to ensure a safe and comfortable journey.